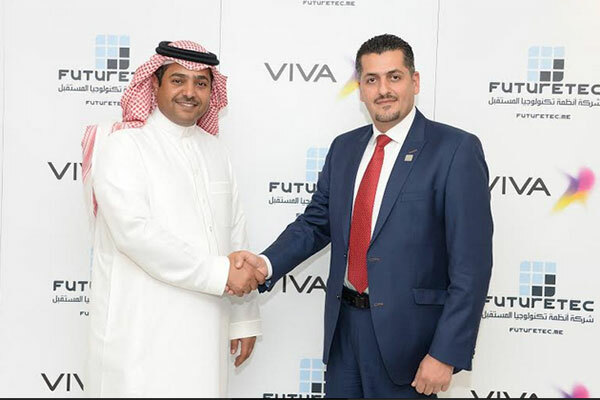 Viva Bahrain recently partnered with FutureTec, leading IT solutions provider, to expand the portfolio of ICT services hosted locally at the Viva DataCenter in Bahrain to include cloud computing & cloud security services for businesses. Government customers and enterprises of all sizes can remain competitive and relevant as Bahrain becomes increasingly digital through Viva’s latest affordable, reliable and scalable cloud-based services powered by FutureTec. The new offerings are designed to enable Viva Business customers to seize huge growth opportunities by improving operational efficiencies and lowering infrastructure costs. They also serve greater support for future innovations and provide the technical foundation required to deploy next-generation technologies. Hosted in Bahrain, Viva will be launching various cloud computing services such as Infrastructure as a Services (IaaS), virtual servers, Disaster Recovery as a Service (DRaaS), Backup as a Service (BaaS), Internet Security and Email Security as a Service which are powered by leading technology providers such as Nutanix and Fortinet.